Several years ago, buzz began about the incoming mass deployment of small cell attachments. Until 2017, deployment has been lagging. So far in 2018, it appears that deployment will continue to move into high gear. We have compiled a list of 6 future predictions surrounding the current small cell proliferation. In 2017, roughly 13,000 small cell attachments were deployed across the United States. The Federal Communications Commission estimates that by the end of 2018, approximately 150,000 small cells will be deployed. 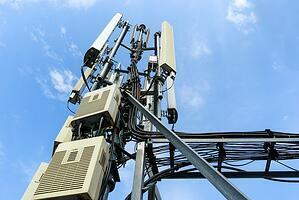 Consumers’ appetite for faster wireless technology is growing exponentially. Wireless data usage today is 40 times what it was in 2010, according to the wireless trade association CTIA. The United States has more wireless devices than people, and one in five American households relies on a smartphone as the sole source of home Internet access. Such an increase in attachments will certainly impact the joint use community. Asset owners should prepare for a massive increase in both inquiries and permitting requests; attachers should prepare for high-volume, fast-paced deployment rates. On August 2nd, the FCC unanimously enacted a policy that’s likely to speed the deployment of small cell attachments throughout the country. The agency’s One Touch Make Ready order allows the attaching company itself to remove all wires and equipment previously on the pole, so they can prepare the pole for a new attachment. Until now, the provider had to wait for each company that was already using the pole to remove its own equipment. That process could take weeks or months. They first had to verify the equipment could be moved, contact the previous attacher for removal protocol, then wait on contractors to remove the pieces. Sometimes equipment removal was one-by-one or required multiple trips to the pole’s location. Add contracts, billing, and other paperwork to the mix and the result is typically a 30, 60, or 90 day turnaround time for deployment. Opponents argue that the policy favors new providers over established ones, and risks damage to the older equipment. The rule does not apply to some types of attachments, such as those with potential to cause safety risks. In addition, it only applies in the 30 states where pole attachments are regulated by the FCC. While the policy provides state and local governments leeway to regulate deployments, it forbids moratoria that block or delay installation. Communications providers want to know the best way to ensure networks can handle 5G high-speed wireless service, and the wave of integrated technologies expected to roll out over the next few years. The next generation of wireless service promises lightning-fast speeds and more reliable connections. However, at this point, no one is sure about how a given provider’s 5G service will differ from another provider’s service. The real impact will be felt in the years to come. As many industry analysts are fond of saying, at this point 5G is “an evolution, not a revolution.” A new market report forecasts that 5G networks will account for 5% of all spending on wireless network infrastructure by 2020, increasing to 40 percent by the end of 2025. Smart lighting: The same way sensory lights in our homes or offices operate, sensors in smart cities will automatically dim public lights on empty streets and turn them back on if a person or vehicle appears. Improved traffic flow: Traffic lights will be able to respond to actual traffic with sensors, which should reduce congestion. Parking assistance: Sensors will be able to communicate parking space availability through an app to drivers or passengers in real time, eliminating the need to keep circling the block looking for an empty space. Better public safety: Gunshot detectors will lead to quicker, more informed police response (possibly even identifying the type of firearm used). Severe weather warnings will improve, and sensors will communicate which streets to avoid during flash floods. Smart power: Power grids will have more information about power usage and will be able to manage the system more efficiently, saving energy. Information about power outages will be detected and relayed immediately, helping responders get the lights back on sooner. As beneficial as small cells are for powering smart cities, residents in those cities may grow weary. Cities have, and will continue to, regulate the appearance of small cell attachments. Expect the attention from municipal governments to grow as deployment escalates. Residents may call to complain about attachments they find unsightly in their neighborhoods. Other forms of backhaul will be employed depending on small cell location, but it’s clear that wireless providers feel comfortable with fiber’s capacity and reliability. Both Verizon and AT&T have said they expect to increase spending on fiber. A new report projects that the fiber optic market will expand at a compound annual growth rate of 10.5 percent through 2026. The small cell boom is just one factor, but upgrades to boost fiber density are also a significant part of small cell preparations. Small cell attachments are not going to install themselves, and simply moving existing personnel from macro to small cell is unlikely to meet the increased demands for skilled labor. The joint use community is ever-changing, but with these six predictions for the future — a rush of transformation is on the brink. From the new One Touch Make Ready policy to 5G, small cell deployment is on everyone’s mind. Utility pole and conduit infrastructure asset owners are seeking solutions and taking preventative measures to ensure their data is accurate. They are also looking for the best way to streamline communication between attaching companies and other asset owners. For providers to better serve their respective communities, the best tools available to handle the complexity of joint use business are required. New technology platforms can help owners and attachers build better communities through maintaining better infrastructure. Asset management platforms, like Alden One, will keep providers sane and organized in the face of change. Download Alden's tip sheet to read about the 5 Requirements of an Asset Management Platform for the Joint Use Community. Start a conversation about the future of small cell deployments in the comments below. Which changes do you see coming soon?